At least three people were killed and 17 wounded early on Monday in Egypt’s North Sinai province following a suspected militant attack on a bus carrying workers employed at a cement factory. 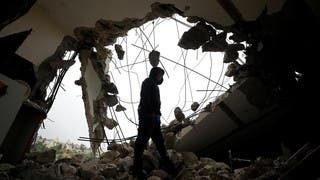 The suspected militants used rocket-propelled grenades in the attack, according to security and medical sources. “The bus was attacked with a rocket-propelled grenade near Al-Arish airport. Three people died and 17 were injured in the attack,” a security official told AFP news agency. According to eye witnesses, the attackers shouted “Allahu akbar!” (God is greatest) after the bus was hit, Reuters news agency reported. The restive Sinai peninsula has been hit by a surge of violence since president Mohammed Mursi’s ouster on July 3, with militants killing a police officer early on Friday. A Coptic Christian man was found decapitated a day earlier, while two people died in an attack on a checkpoint in the peninsula on Wednesday. 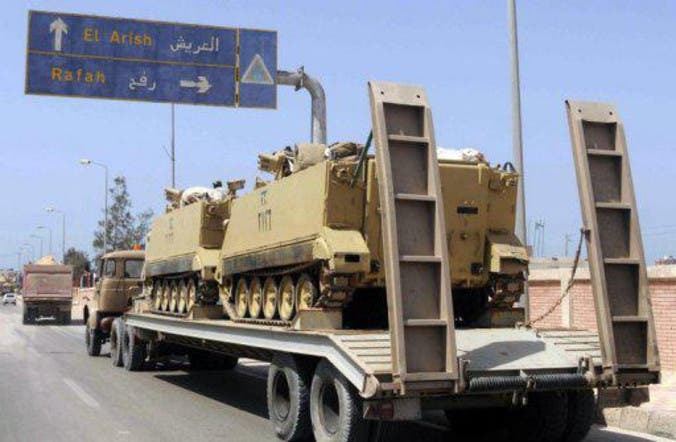 Exploiting a security and political vacuum following the 2011 uprising that ousted autocratic President Hosni Mubarak, hardline Islamist groups based in North Sinai have intensified attacks on police and soldiers over the past two years.